The opening of the Texas State Fair today marks the beginning of Fall festivities. It is starting to feel a little like Fall and I love it! If you are interested in what’s happening at the Texas State Fair, click here: www.bigtex.com. There is an online Visitor’s Guide available on their website. Share this information with your data base and sphere. The Texas State Fair runs through Oct. 22nd and has plenty of activities for everyone. If you aren’t into fair rides, then the shows and fair food won’t disappoint. Some of the craziest menu items this year (to name a few) are the Tamale Donut, Fried Thanksgiving Dinner, Fried Bacon Cinnamon Roll, Fried Froot Loops, Signature Stuffed Chicken Wings (stuffed with seasoned chicken and rice), Fried Milk & Oreo Cookies, Funnel Cake Bacon Queso Burger and Pinot Noir Popcorn. My all time favorites are the Foot Long Corn Dog and Spicy Garlic Fries!!!!! A seller of real estate in Texas may be required to provide to a buyer one or more notices regarding the property in question. Failure to provide the proper notice may result in liability for the seller of the real estate and/or the real estate licensee handling the transaction. If a property is located within a Municipal Utility District (MUD), the seller is required by the Texas Water Code to provide to a buyer prior to the buyer’s entering into a sales contract a notice regarding the MUD in which the property is located. The notice provides information regarding the tax rate, bonded indebtedness, and standby fee, if any, of the MUD. A seller will typically know if a MUD is providing service to a property because the MUD assessment will be listed on the tax bill that the county sends to the property owner. The property seller will frequently not, however, have access to the MUD notice required to be given to the buyer and may require the assistance of a real estate licensee to obtain the proper notice. One method you may use to obtain the proper notice is to contact an agent for the MUD and request a copy of the most current notice. The name, address, and phone number of all MUDs in Texas are available through the Texas Commission on Environmental Quality’s website. After entering the website, you may look up any MUD by going to the first search field entitled “Search by Water District Name or Number.” Type in the name of the MUD for which you are seeking information and press enter. The website will provide information regarding that MUD, including contact information for the MUD’s agent. You may then contact the MUD’s agent to obtain a copy of the current notice form. Section 49.455(b)(9) of the Water Code requires that all MUDs file the particular form of Notice to Purchasers that the seller must furnish to a buyer in the property records of the county in which the MUD is located with all information completed. We have more Realtor decals for your signs! We ordered 1,000 more decals so please come see me if you have not received your 2 FREE ones or need to purchase more at $.50 each. If your real estate signs (including Open House) are not compliant with the TREC and TAR rules, please stop by to discuss with me. I can help explain the rules so you do not receive a violation. Please refer to our advertising policies in your Associate Handbook. Getting a ‘Supervisor’ error when editing a listing? Here’s the fix! A NTREIS Rule change last week has made the Office Supervisor field required. 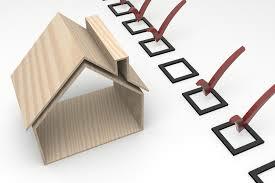 Prior to being able to edit any other information on a listing, this filed must be completed. *We need 10 RSVPs to have this class so if you want to come, please RSVP with Megan or on the Intranet! You’ve finally signed the last document. That “For Sale” sign turns to “Sold” in front of your brand-new home. The real estate agent hands you the keys, and you’re full of emotions. You should feel on top of the world, excited to move into a home of your very own. But what if you don’t feel good? What if, in fact, you feel bad? You feel anxiety over buying a house, and you’re panicked. This, my friends, is buyer’s remorse. Why do I care about you and your remorse? Not so long ago, I also bought a house. I felt overwhelmed with creating a new budget, navigating property taxes, and all of the maintenance work I had ahead of me. Eventually, however, I overcame the fear of first-time home-ownership and grew to love my house, living day to day in my home without a care in the world. How did I conquer the hand-wringing existence you currently find yourself in? Follow these tips to help calm your nerves and fast-track your way into the rewarding world of home-ownership. Stoic philosophers believed that to live a more content life, you should attempt to control only the things you have the ability to control. Even though they were pretty much constantly getting exiled, those guys knew their stuff. You may feel like you’re on the brink of a full-fledged panic attack, but try to calm your fears and give this new home a chance. (Plus, you paid your closing costs, and you can’t turn back so easily now.) So strap yourself in. This is your reality now, so control what you can and make the best of it. Remind yourself of all the reasons why you bought the home in the first place. This wasn’t a split-second decision, after all. You put in a lot of time, money, and effort to find your perfect home. You might be surprised at how quickly those anxious feelings fade when you focus on accepting (and enjoying!) your new space. Now that you’ve accepted that this is your new house, why are you panicking? Is it because you worry you will lose your job and miss your mortgage payments? Is it because there are many improvements to make to your house? Make a list of your worries or concerns and solve just one of them. Paint a room, put in a new light fixture, or set a new emergency fund savings goal. Cross one thing off your list, and you’ve just made progress toward settling into daily life as a homeowner. Most well-adjusted adults don’t use “party” as a verb. But it’s time to make an exception, because when you buy a house? It’s time to party. Have a cookout, host a grown-up dinner party, or throw a tailgating party in your new home. The point is: Gather your friends, family, and loved ones in your home for a celebration. The enthusiasm will be contagious. Your guests will be genuinely excited for you and your new home purchase, and some of that excitement might just rub off on you too. Walk around your house and consider each room. Be mindful of the light and of the space. Find your favorite place in your house and just enjoy it. Drink it in. Appreciate this spot. It’s the best spot in the house and this is your house. You bought it! Whenever you feel your anxious mind running away again with buyer’s remorse, come back to this spot. This is a good, relaxing spot. It’s home. And soon the rest of the house will be too. Take a deep breath. Your buyer’s remorse will pass, and eventually, when you’re enjoying your new home (and maybe even considering buying a vacation house), you’ll wonder why you ever worried. Happy Fall Y’all (even though it doesn’t feel like Fall in Texas). I hope it is coming to Texas soon! Fall is my favorite time of year…cool weather, crisp air, pretty leaves, harvest colors, boots, sweaters, apple cider, football, and pumpkins to name a few. I hope everyone is as excited as I am!!!!! LET’S GET THESE HOMES SOLD! Let’s visit Open Houses this weekend (no Cowboys game on Sunday so no excuses!) and sell these beauties. We also want to make our Billion Dollar sales goal this year so we can all have the best holidays ever!!!!! Email fraud is on the rise, with hackers posing as real estate professionals or title companies to trick customers into wiring closing funds to their accounts. Below are common “red flags“ associated with these schemes, and tips for how to avoid becoming a victim. UNSECURE EMAIL ACCOUNTS Be suspicious of any party that uses free, web-based email accounts for business transactions. These accounts are easily breached. CHANGES OR ANOMALIES Pay careful attention to all email addresses throughout the transaction to make sure they are legitimate. Hackers often email from unsecure domains or fake domains that closely resemble real ones to trick their victims. Watch for sudden changes in grammar, terminology and verbiage. Be wary of spelling or grammatical errors, requests for secrecy or pressure to take action quickly. Be suspicious of emails that arrive at odd hours of the day or night. PAYMENT INSTRUCTIONS Be wary of unusual payment amounts or payment requests to odd parties, unusual persons or international wires. Review the name(s) on all bank accounts. Does it match the name(s) of the party(ies) involved? Is it worded strangely? Always verify changes to payment instructions and confirm requests for transfer of funds from any party—especially last-minute wiring changes from financial institutions. HOW TO AVOID EMAIL FRAUD Slow down. Moving too quickly and not verifying information leads to mistakes. Err on the side of caution. Assume anything suspicious is fraud. Never reply to a suspicious email or act on any of the information in the message. Pick up the phone. Call all parties involved in the transaction using previously known, verifiable phone numbers before closing. If you suspect fraud, act immediately. Contact your local law enforcement authorities, and file a complaint with the FBI’s Internet Crime Complaint Center. Hear from two industry experts how to minimize risks and stay safe in your day-to-day business interactions. We need your old magazines! Please bring to the front desk. Preparing your home for a Fall sale! Fall is a great time to sell a home! While springtime may be the most popular season to put your home on the market, there’s no reason to wait to sell your home – especially with housing inventories on the decline. Keep the outside of your home clean and neat; rake leaves, make sure lawn is mowed regularly. Plant fall flowers – chrysanthemums and pansies are very popular in this area. Make sure the front door is clean and hang a simple fall wreath. If the welcome mat is worn, replace it. Make sure your windows are sparkling! You don’t want any surprises when your home is on the market – be proactive and have the HVAC system checked so your furnace is ready for the first cold days of fall. By the way, you want the air inside your home to smell fresh – change your furnace filter. First, make sure it works and is clean! Then emphasize it. Arrange your furniture to make the fireplace the focal point of the room; decorate your mantle with tasteful fall accessories or neutral artwork. While it’s not necessary to bake cookies for your potential buyers, consider creating the same homey feel you get from baking with a few well-chosen foodie accessories. Fill a bowl with shiny red apples, open a cookbook to a chili or stew recipe (with pictures! ), use autumn hued placemats on the table. Create a homey, welcoming atmosphere! Emphasize comfort by tossing a cozy throw over a chair, using plush pillows on the sofa, and adding a few fall accents (pinecones, pumpkins, gourds, candles). Use table linens. Don’t forget about the bedrooms – layer the beds with luxurious throws and pillows, display plush towels in the bathroom. Autumn signals shorter days and chances are good your home will be viewed in the evening. Make sure your outdoor lights have working light bulbs, and clean the glass. Indoors, turn on the lights! Include closets, stairways – you want your home to be bright and welcoming. During the day, bring in the light. Pull up the blinds, open the shutters, pull back the curtains. While not required, it’s a nice touch to leave a treat by the front door that potential buyers and their realtor can grab as they leave your home … wrapped mints, individually wrapped candy corn, snack size candy bars. It’s also nice to provide a small tray or bowl for realtors to leave their business cards. According to Realtor.com, you don’t have to forgo all festive decorations, but you do have to choose them wisely. In general, decorations should be neutral. Think scarecrows, pumpkins, and hay bales. As for what not to do, well, avoid blood, gore, political decor, clowns, and don’t over decorate. And a word to the wise … keep an eye on the pumpkins. Nobody wants to encounter rotting produce! Information provided by Keller Williams Dallas Metro North. Thinking about selling your home? Call us today – we have over 400 highly qualified agents ready to assist you with your real estate needs. September is REALTOR® Safety Month. As part of NAR’s ongoing efforts to keep its members safe, the Association dedicates September as REALTOR®Safety Month. NAR is offering 2 free safety webinars that every agent should watch. and Empower yourself with careful precautions. Our safety committee is hosting the NAR safety webinar at our office on Wednesday, Sept. 27th, from 1:00 – 2:00 p.m. SAVE THE DATE and JOIN US…safety first and foremost! Please plan to attend our annual Chili Showdown and Cowboys game watching party this Sunday! Family friendly and guests are welcome. If you would like to show off your chili recipe, please enter into the competition. Please email Rebecca to let her know if you will be entering your chili at brooks@kw.com. LOADS OF FUN AND DELICIOUS CHILI! 1. When you’re at the office, use a visitor log book and have each potential client fill out a customer ID form. We have a prospect ID form at the front desk for you to use if needed. Remember to also get a copy of their photo ID. Don’t agree to a private showing unless you’ve already met a client in your office and don’t allow a client to ride in your car unless you know them well. Trust your instincts. If something doesn’t feel right, remove yourself from the situation. Don’t worry about offending a client. Your safety is paramount. 2. Show properties before dark and be observant. Take 10 seconds as you arrive at each destination to evaluate your surroundings and check for anything out of the ordinary. Note questionable activity nearby. Are people coming and going, or is the area unusually quiet? Are there obstacles or hiding places in the area? Make sure that you’re parked in a well-lit, visible location and that you can’t be blocked in by another vehicle. 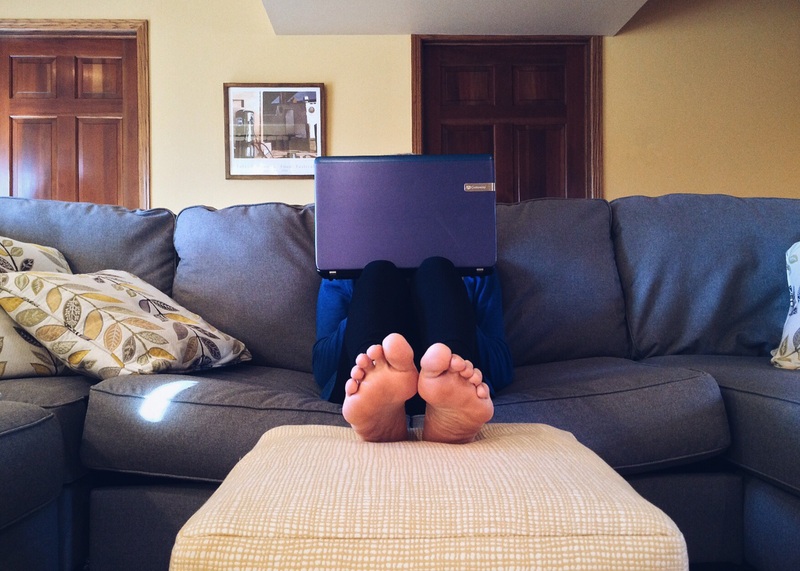 If you’ll be working after hours, tell others about your schedule. When showing a property, leave the exit doors unlocked for a quick exit while you and your clients are inside. As you view each room, let the client enter first and always be closest to the exit. If you must show a property after dark, turn on every light as you tour a property and keep blinds and curtains open. 3. Keep your business separate from your personal life. Set up business accounts on Facebook, Twitter, or any social media sites. This will help protect your personal photos, posts, and other information from access by people you don’t know. Dress professionally and don’t wear expensive jewelry. Store your purse, iPad or other valuable items in the trunk of your car. Buy a personal security app for your cell phone, and always keep your cell phone in your hands. Please meet us in the upstairs Training Room from 11:15 AM – 1:00 PM on September 19th. Come get your flu shots after Partner Meeting! DotLoop Training! September 20th 9am – 4pm! Not just your normal DotLoop training! A DotLoop representative that we are PAYING to come show you the ropes and how to get the most out of this amazing system!